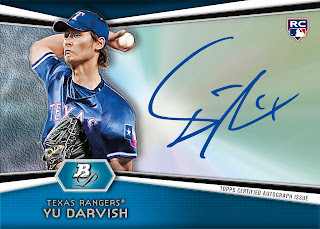 There was excitement both home and abroad when Yu Darvish signed with the Texas Rangers earlier this year. Recently one of his 2012 Topps Tribute Autographs just sold on eBay $1,300, so there is a good chance he is the auto to chance this year. Fortunately he will be signing a whole bunch of products. 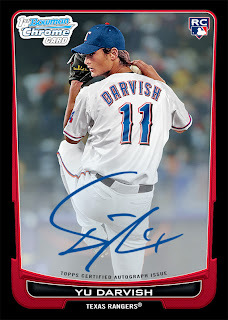 Recently confirmed, here are the following releases that will include Yu Darvish autographs. 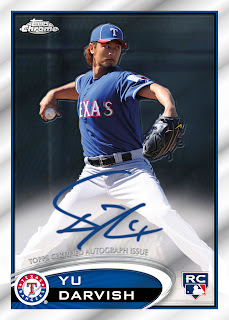 Gypsy Queen, which releases 4/18, that includes 25 on-card Autographs. 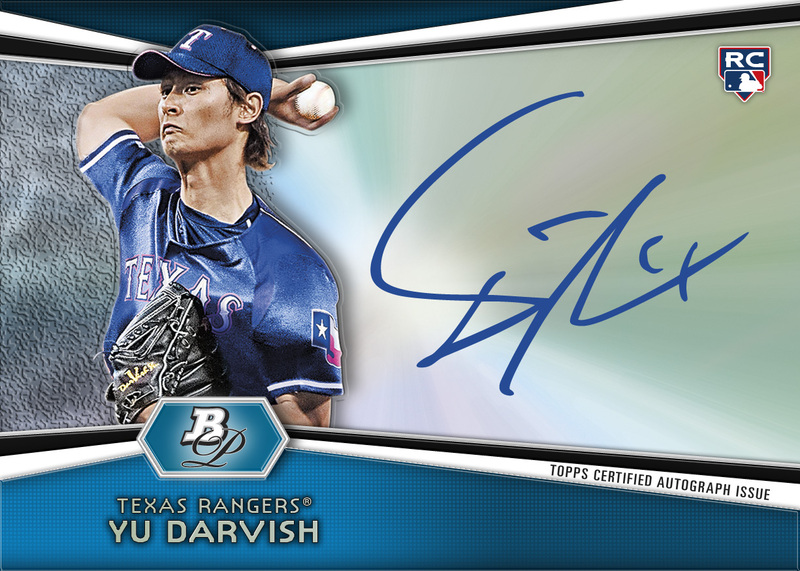 There will be more releases with Darvish autographs to come. Yeah, his autos will initially go for big bucks, but I fear that they will also end up overpopulating the market. 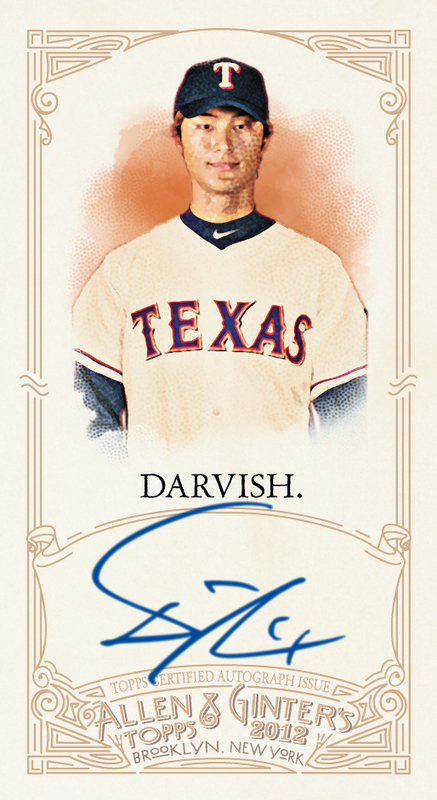 ...not that it will keep people from spending large wads of cash for them, mind you.